Nestled within the jungles of a wave-fringed island, Create Balance Yoga Retreat in Siargao Island, Philippines is a place to rest, manifest, connect and get empowered. Luxury eco living, organic food grown on the land, daily dynamic Yoga, x 3 massages, paddle boarding, island hopping, bike riding… it really doesn’t get much better than this! The remarkable shape of the ocean bed just off the coast of Siargao makes it unique to the other seven thousand islands known collectively as the Philippines. Nowhere in South East Asia has another island been discovered with the same number and quality of surf breaks to it as there is in and around Siargao. Hi, I am Tonya Russell, the one who hosts the retreat. Hope you enjoy. Its Island time, welcome to Siargao. The land of crystal clear waters, locally sourced produce and unbelievable nature in every direction. Unpack your bags, put your feet in the sand and let the retreat begin. Let's unwind. Morning yoga in the Japanese inspired tree house studio, followed by breakfast in the onsite Vegan cafe. Today we will explore Siargao, visit Magpupunka pools, take a walk through local villages and explore the local markets. Awaken with our morning yoga ritual, breakfast and a swim. Unwind with your first massage and enjoy the local cruise for lunch. Enjoy some “me time” and join the group for the evening delicious foods to the sound of the ocean. A day for adventure. After our morning practise and breakfast today we spend the day island hopping and exploring. Naked Island, Daku Island and Guyam Island are situated just of the shores of sirago. Lunch will be served along the way. After returning back to Siargao evening yoga and dinner will complete our adventures. With the sounds of nature and the smell of the ocean we dive deeper into our yoga practice. Today we explore our surroundings by bike, what surprises may we find? Lunch along the way and our evening with be complete with yoga, delicious food and some good music. As our mind starts to open, our body will follow. After our morning practise we set off to explore the local beaches and snorkel in the crystal clear waters. During the afternoon let yourself be pampered with an one hour massage and group dinner. Contemplate to magnificent surrounding and most importantly yourself. Today we set off to to Sugba lagoon for a day of stand up paddle boarding, snorkeling, and boat rides between the cliffs edges. A fresh lunch will be served and later that evening we will meet for yoga and group dinner. A day for creation. After our morning yoga practise and breakfast take this day to spend at your own leisure. Meet in the evening for a group dinner watching the sunset. The sun on our skin and the dirt beneath our feet. Morning yoga - Today we set off for a trek to the top of Corregidor Island to marvel the pacific ocean lands surrounding us. BBQ picnic lunch and refreshments will be served on the beach. Later we will return back to our resort for evening yoga and dinner together. A day to reflect and feel gratitude. Today is our final yoga session together. Enjoy our extended morning practice followed by breakfast. Spend the midday as you wish and meet for an afternoon at the onsite farm learning about sustainable living. Final group dinner at local restaurant and for those interested in some live music can wonder to the different nightlife venues. Only when something ends, there is space for new beginnings. Bon appetite - A morning of delicious foods to complete our journey together. Take a walk along the beach or dive into the ocean. Depart for your next destination with the clam spirts of Siargao Island. 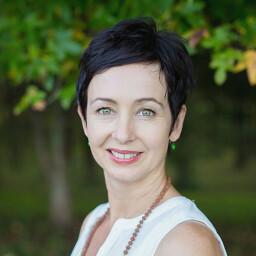 I’m Tonya, Founder and Owner of Yoga Circle, a boutique yoga studio in Northland, New Zealand. My yoga journey began over 15 years ago while Living in Dubai and struggling with a painful back injury. As my yoga practice healed and strengthened my body, I began to notice other benefits from coming to my mat. At the time I had a “very busy and important” job alongside raising my young family as an expatriate. Amidst the hustle and bustle of this life, yoga provided the time and space for me to PAUSE and just BE. To connect to my body and my breath through movement. Importantly, it transformed the feelings of “busy-ness of juggling life” into feelings of balance and mindfulness that have led to a more harmonious and holistic way of life. When I returned to New Zealand in 2004 I wanted to share my learnings with others, so I created Yoga Circle alongside my career. This has provided me with the opportunity to walk my talk and to model yoga can be used to “create balance and enhance life “. Sure, life still gets busy, it instead of juggling “busy and important “ tasks, there is yoga and a feeling of choice. Today I choose to create balance and so can you!